The Clown Prince of Crime, the Joker! Joker doesn't only break the law with a laugh, he bobbles! Classic DC Comics villain in his purple outfit! Batman's arch-nemesis, Joker, is simply stunning in purple. 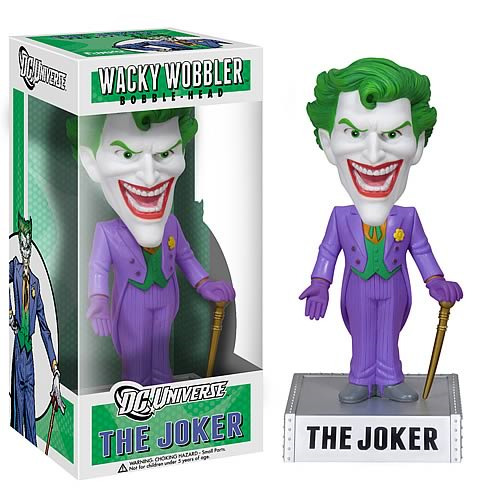 The 7-inch tall bobble head of Joker features the clown prince of crime with a wide mouthed smile as he stands with his trusty cane in his left hand! Quit joking around and pick up the Joker today! Measures 7-inches tall including the base. Ages 5 and up.